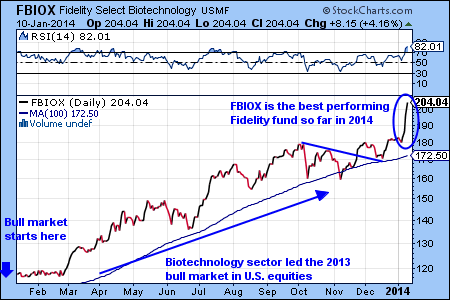 The Fidelity Select Biotechnology Fund (FBIOX) was the best performing Fidelity mutual fund in 2013. The chart shows that the price of FBIOX consolidated in October and December, but started the new year with impressive gains. We’d like to point out that after the recent large gains the biotech sector is overbought now and ripe for a pullback. 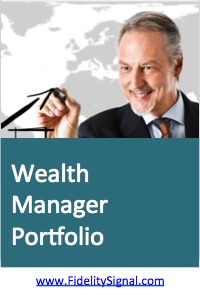 Investing in this sector carries above average risks, but can be highly rewarding for aggressive investors. The S&P 500 index closed above 1,800 for the first time. The Dow also made a new high today, indicating a very bullish stock market. The biggest gainer today was the biotechnology sector. 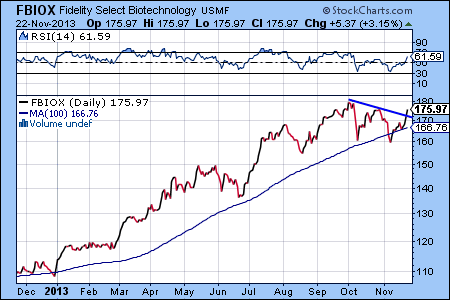 The Fidelity Select Biotechnology Fund (FBIOX) was up 3.15% and continues to be the best performer of 2013 with an incredible 60.05% year-to-date gain. 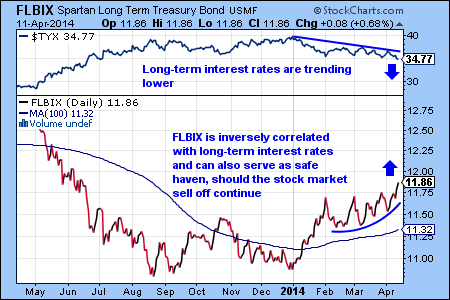 FBIOX shows a highly bullish chart pattern, since it broke through the blue resistance line. The stock market sold-off sharply today due to fears about the impact of the government shutdown and the stall of the budget ceiling negotiations in Washington. High flying sectors, such as Biotechnology and Internet were hit the hardest in the sell-off. The Fidelity Select Biotechnology Fund (FBIOX, last change: -5.07%) was down the most out of all Fidelity mutual funds. The Fidelity Select Biotechnology Fund (FBIOX, last change: 1.46%) has rewarded investors with a stellar 50.06% year-to-date return, which makes FBIOX the best-performing Fidelity fund this year. The bull market for the biotech sector started in November 2012 and has continued in 2013 with only one interruption in June. After the June correction FBIOX regained momentum and continues to make higher highs. The Fidelity Select Biotechnology Fund (FBIOX, last change: 2.07%) has made a new 52-week high yesterday. 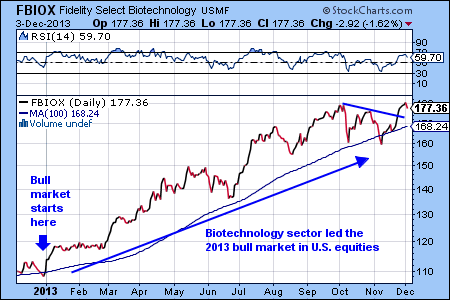 After the May correction the biotech sector stabilized in mid June, which was followed by a new market rally. In our view, FBIOX is one of the best biotech funds available to investors, so we are not surprised that it outperformed other biotech mutual funds and ETFs during the recent volatile period.